Whether you have been diagnosed with a medical condition, or are looking to change lifelong eating habits, individual consultations are a chance to prioritize your health in a non-judgemental, supportive environment. Consultations are customized and will focus on developing goals and creating attainable action items. You will leave with an individualized plan detailed with how and why to incorporate dietary shifts into your lifestyle. Specializing in blood sugar regulation, diabetes, digestive health, disordered eating, food allergies, hormone health, inflammation, mental health, prenatal nutrition, sports nutrition, and weight management. Book a lunch and learn talk for your workplace! Custom designed classes or training are an option for your school, business, or workplace. The process of finding a diet that is right for you and your specific goals can be challenging on your own. Imagine feeding yourself the right fuel on a regular basis to improve energy levels, mood, productivity and focus, athletic performance, body image, sleep, and more, all while reducing pain and inflammation. My belief is that with supportive education and coaching this process can be expansive and exciting rather then restrictive. Your mind and body are working around the clock making decisions about how you operate and how you feel. In order for your mind and body to thrive and not just survive, they must have the right fuel. This comes in the form of real, unprocessed foods that contain all of the nutrients that we need for optimal functioning. I specialize in the connection between the gut and the brain and how they influence each other for physical and mental well being. Through implementing nutritional, wellness, and lifestyle changes, I believe people can become empowered to be active participants in changing the course of their individual health and the health of the community. I have a Master of Science in Holistic Nutrition (MSHN) from Hawthorn University, and I am a certified Integrative Health Coach and certified Natural Chef. I love witnessing people discover the ways in which a shift in nutrition can change their whole way of being in the world. In addition to nutrition consulting, I spend time volunteering for Girls on the Run and other local organizations, running, biking. playing soccer, growing and cooking food, enjoying time with kids, and spending time in the outdoors. Who benefits from a nutrition consultation? Many people seek support because they experience a change in their physical or mental health, however anyone can benefit from the process. Proper nutrition can be supportive for a variety of challenges including weight management, diabetes, digestive issues, mental health conditions, inflammation, headaches, fatigue, food allergies and sensitivities, sleep issues, addiction, skin issues, etc. Fueling the body properly will help with the prevention and management of health conditions, and is a foundational part of physical and mental health. People are often motivated to have a consultation when they are experiencing ill health, but having a consultation when you are in a healthy stage of life is a great preventative tool. You may even see benefits in areas of your health that were not related to your initial concerns. The surprise, bonus benefits of optimal health! The initial consultation is a collaborative process where I will listen to you and your specific health concerns, goals, and preferences. We will talk about your stress levels, sleep patterns, energy level, exercise, and gastrointestinal function. 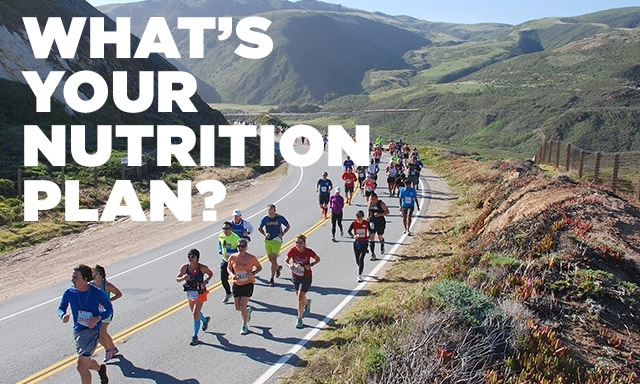 We will explore how nutritional choices may be contributing to your concern or condition and how to make adjustments to ensure that nutrition is being used to your advantage and not detriment. We will discuss typical daily food intake, cooking and shopping habits and overall dietary patterns. We will make a plan using your lifestyle, time constraints, budget, and food preferences. I will take time to explain why I am making a recommendation, how it will benefit you personally, and how you can practically incorporate it into your lifestyle. While I primarily work with food and exercise as a foundation, in some cases I recommend supplements to help support the system with a short-term boost. I will meet you where you are in your process whether you are trying to manage a certain medical condition, find resources for meal prep and recipes, learn how to label read, or demystify current nutrition trends. Much of the consultation process is supporting you in making lasting behavior changes around food by providing practical skills, encouragement, motivation and accountability. Will I have to give up all of the things I love to eat? Quick answer is no! The long answer is food is the longest standing relationship we will have in our lifetime, and it can be complicated at times. Every day we have to make choices around how we eat, what we eat, and why we eat. Rather than tell people what they should or should not have, I work with you to design a plan that is practical for where you are in your relationship with food. For some this could be a radical shift in choices, and for some it may be a minor adjustment of a current diet. I take into account the foods that you like to eat and to which you feel attached. If anxiety or stress comes up around trying unfamiliar foods or making big changes, I encourage small, attainable goals. The idea is to create a plan that is sustainable and puts you in control of determining the path of your health. I will even help you navigate your favorite restaurants and so you can still enjoy eating out. This depends on your goals and the plan we make. Some people may benefit from only one session of talking through some health concerns and learning how to incorporate some changes to diet and lifestyle. For some people the accountability piece of setting up weekly or monthly sessions can be helpful in receiving support with making lasting dietary changes. Some people may come once and then schedule a refresher from time to time to do a minor course correction. A mini boot camp approach works for some. This can include office sessions, shopping support and cooking help. This is a very individualized process. After the initial consultations we will create a time frame that works best for your goals. I look forward to hearing from you to see how we can work together.